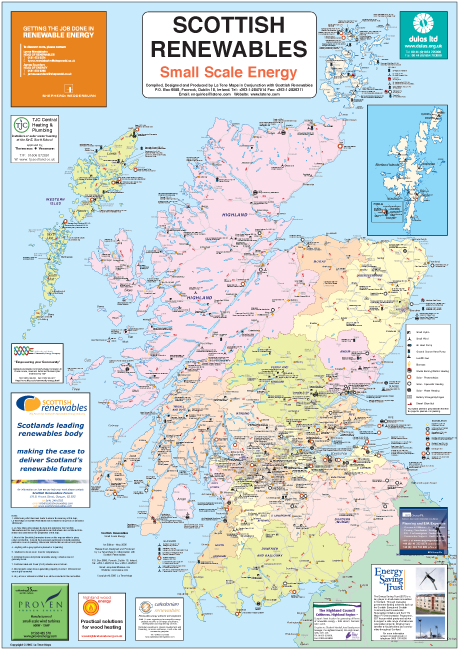 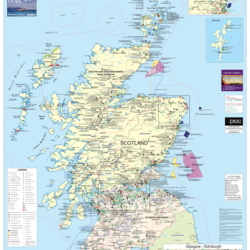 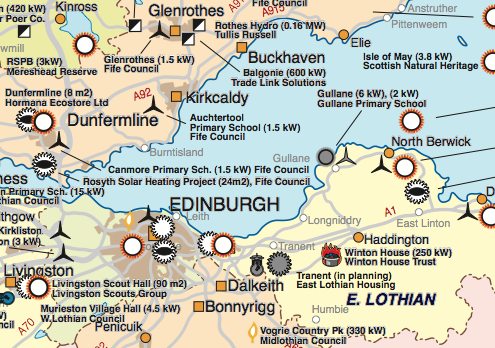 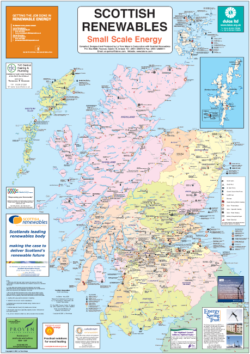 Current edition 2nd edition (May 2008), This was the first printed map to show Renewable Energy Schemes under 1MW in Scotland. 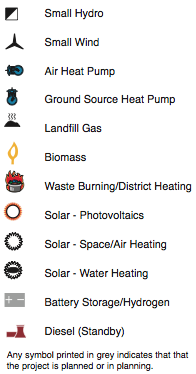 Shows projects built or with all consents in place. 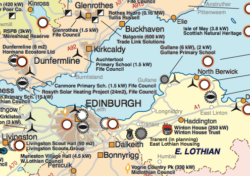 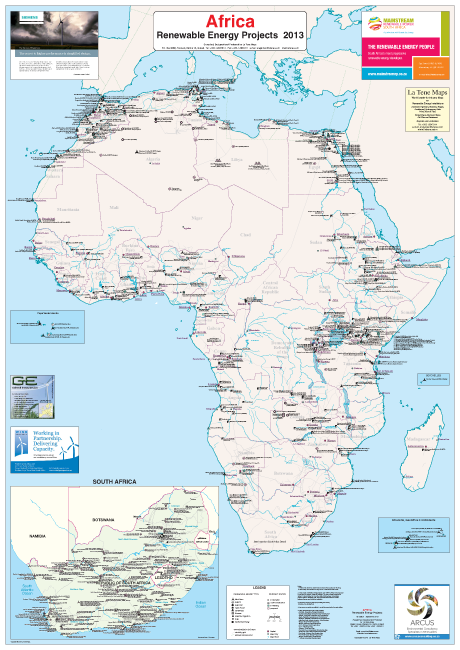 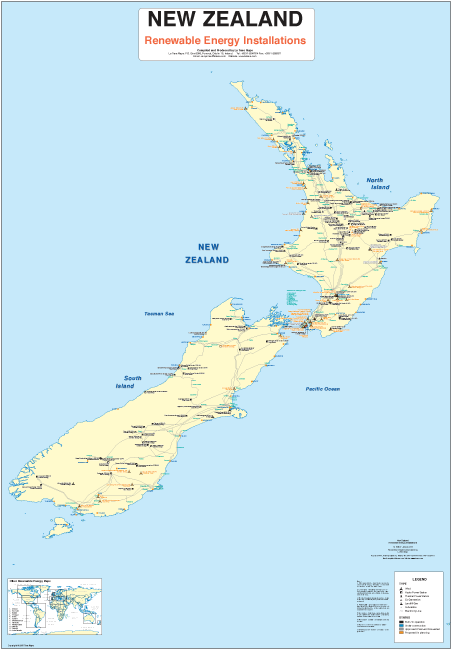 Shows Small Wind, Small Hydro, Air and Ground Source Heat Pumps, Landfill Gas, Biomass, Solar and other RE types: Publisher: La Tene Maps.